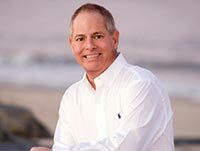 There are advantages working with Jeffrey Fowler, Delaware Realtor® with Keller Williams Realty when buying or selling your beach condo, beach house or resort vacation property in Sussex or Kent Counties Delaware. The decision to buy or sell a home near the beach or property in the vacation and inland areas of Sussex County is one of the most important decisions you can make. As your Delaware REALTOR® we always have your best interest at heart, we have the resources of both buyers and sellers, and dedication to guide and help you through the entire process. We are members of the following organizations: National Association of Realtors® - (NAR), Delaware Association of Realtors® - (DAR), Sussex County Association of Realtors® - (SCAOR), Sussex County Delaware MLS, Rehoboth Beach - Dewey Beach Chamber of Commerce, Fenwick Island - Bethany Beach Chamber of Commerce, Milton Chamber of Commerce, Georgetown Delaware Chamber of Commerce, Millsboro Chamber of Commerce and the Lewes Chamber of Commerce. A REALTOR® abides by the NAR Code of Ethics -- a standard of professional behavior that exceeds requirements for state licensing in most states. See what our past clients say Customer Testimonials. Only a REALTOR® can display the REALTOR® logo which is a federally registered mark licensed exclusively to the members of the National Association of REALTORS. This mark represents a high standard of professional conduct in serving the interests of clients and customers. When purchasing a home or property, a real estate agent can help you determine what you can afford and shows you only those properties that meet your criteria. A REALTOR® can explain alternative mortgage financing programs. In addition to knowing the local real estate market, as your Delaware REALTOR® we can tell you what personal and financial data to bring with you when applying for a loan. Already familiar with current real estate values, real estate taxes, utility costs, municipal services and facilities, a real estate agent may also be able to respond to your questions about local zoning changes that could affect your decision to buy. A REALTOR® can research your housing needs in advance through a Multiple Listing Service even if you are locating to another city and can provide you with a checklist to serve as a reminder of some things you should look for in order to make a wise buying decision. A REALTOR® can free a seller from the time, effort and details involving the sale of the property. They can establish the fair market value and can advise when seller financing might be in your best interest. With an interest in bringing both buyer and seller together, we help negotiate a satisfactory agreement between the parties. Before the first showing and beyond the final sale, you'll get the expertise and service you look for in a real estate professional who knows how to sell your home or property. A REALTOR® does a lot of homework in order to sell your home or property. The property is listed, ads are placed, inquiries are handled and appointments for showing are arranged with your convenience and best interest in mind. With the aid of a Multiple Listing Service a real estate agents can list a home or property and work with other real estate agents to assure a wider range of prospective buyers. By hiring The Jeffrey Fowler Group, you have secured a team of REALTORS® who are committed to continuing education, ethics, and professionalism. In addition to following the strict Code of Ethics, many Realtors® hold one ore more professional designations -- the letters behind their name. Designations acknowledge experience and advanced expertise in various real estate sectors. For more on designations, visit the National Association of Realtors® Designations Resources. Buying or Selling Real Estate? What is: Agency Delaware?